Hidayah, World Traveller: My Name is Mikhail. I have Cerebral palsy. 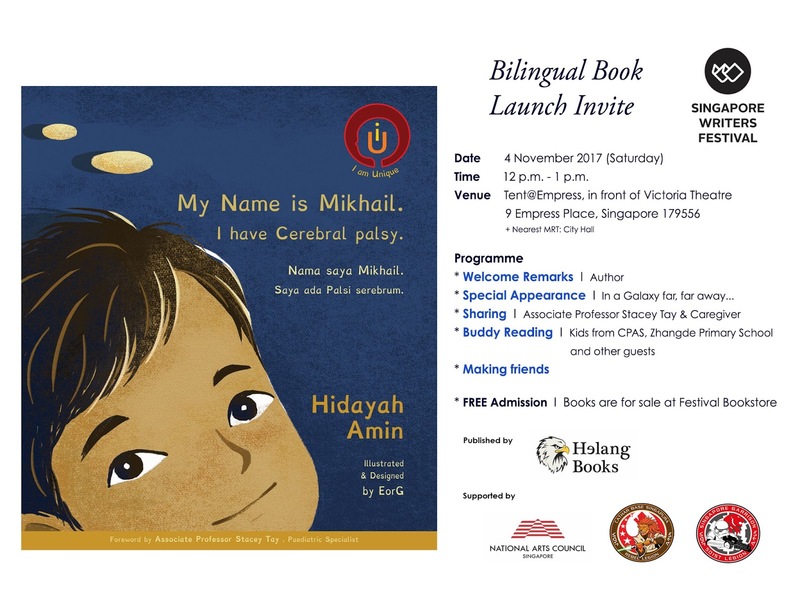 We launched the second book in the 'I am Unique' series at the Singapore Writers Festival (SWF)! "And judging by the reaction of the children, it was an intergalactic hit!" "She was dressed in a strange orange get up, which I initially assumed was because all her clothes were in the laundry and this was the only clean outfit she had around." The book that you write is not for or about you. It should be for the people or the cause which you care about.